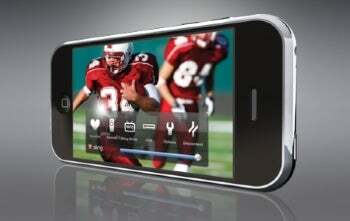 AT&T Allows 3G Slingplayer: New Leaf Turning? What's Behind AT&T's New VoIP Policy? The Slingplayer iPhone app, once the poster child for everything wrong with AT&T's 3G service, will now be allowed to run free of constraints. AT&T announced this morning that it'll no longer prohibit the Slingplayer iPhone app from running over 3G. Used in conjunction with Slingbox hardware, Slingplayer lets users watch an online feed of their home cable service remotely. Previously, the iPhone app was limited to Wi-Fi connections, while the same app for Blackberry, Symbian and Windows Mobile phones have always worked over 3G. AT&T's rationale was that the Singplayer iPhone app would put too much strain on the carrier's 3G network, and that its terms of service clearly allowed for a restriction. For iPhone users already upset with the quality of AT&T's coverage, the banning of Slingplayer over 3G was another gripe, along with restrictions on VoIP services such as Skype, delayed implementation of MMS and the lack of support for tethering. Now, AT&T appears to be turning a new leaf. Last week, the carrier opened its 3G network to VoIP services, it allowed MMS last September, and it claims that its network is increasingly up to snuff, able to handle Apple's upcoming iPad. Why? For starters, there are the network improvements AT&T is touting. As for the Slingplayer itself, the New York Times reports that the app now dynamically adjusts quality based on network conditions. Competition is another factor: Verizon Wireless bulked up its smartphone line with the Droid, Droid Eris and Palm Pre Plus, and T-Mobile now has the Nexus One. For AT&T, selling the iPhone is no longer enough. It's also possible that added government scrutiny caused AT&T to change its tune. Sling and VoIP service Skype were among the companies that pressured the Federal Communications Commission into looking at iPhone restrictions. With the FCC considering net neutrality rules for wireless carriers, AT&T and its peers need to prove that there's no problem with the status quo. Whatever's behind AT&T's change of heart, it's a win for consumers -- unless the network can't keep up with all these new apps and iPhone owners enter another dark age.